Commercial generators must supply electrical power when it’s unavailable from the grid. They also have to perform at remote job sites where no other power source is available. These units operate via battery power — and batteries wear down over time. Timely battery testing and replacement are essential for ensuring generators will function at full capacity when they’re needed. Why Is Generator Battery Testing Important? Batteries play a crucial role in the function of a generator. They provide the power required to start the generator when a power outage occurs. Specifically, batteries serve as the power source for the engine starter and digital control panel. Some units also contain a secondary battery to act as a backup in case the primary set fails. A commercial generator battery’s life expectancy will vary depending on factors such as type, operating environment and usage — three to five years is typical for most units. Battery failure is the most common reason that a generator will not function when needed, which can have devastating consequences for a business. This possibility underscores the importance of regular battery testing and replacement. Conventional vs. maintenance-free: Most generator models take either a conventional or maintenance-free lead-acid battery. The latter version requires less upkeep, but the former has caps that enable you to add and test electrolyte. Power demands: Generators come in a variety of sizes and voltage output capacities — check the manufacturer’s recommendations to ensure the battery can meet your unit’s power requirements. Manufacturer’s specifications: If your generator contains a factory-installed battery, compare its specs to those of the type you’re looking to buy to ensure compatibility. Your generator upkeep program should include caring for the batteries. 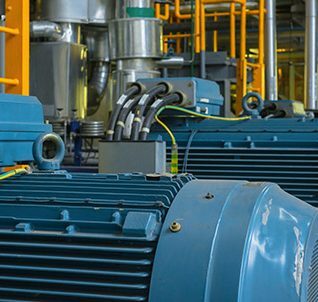 Follow the manufacturer’s guidelines to ensure you’re performing maintenance at the appropriate intervals. The steps will vary depending on battery type and generator usage patterns, but they typically include checking the cells’ electrolyte for specific gravity, testing the battery voltage with a multimeter and conducting regular load testing. Perform an industrial generator battery replacement when it reaches the end of its life expectancy as indicated by the manufacturer. Besides performing regular maintenance, charging is the best way to maximize the batteries’ lifespan. A full charge will reduce the drain on the battery and prevent the voltage from dropping below the minimum level. Newer generators usually have a built-in charger, while older models require the use of a portable charging unit. Woodstock Power offers cost-effective testing and replacement services that will ensure the reliable performance of your generator batteries and lengthen their lifespan. We specialize in Generac generator battery replacement, but we also work with other leading brands. Contact us to learn more about our services or schedule an appointment today.